I made it one of my new year’s goals to take a series of photos of some sort. I’ve had quite a few idea for a series spinning around in my head for a while now and oddly enough, the one I ended up doing isn’t any of them. Hah. 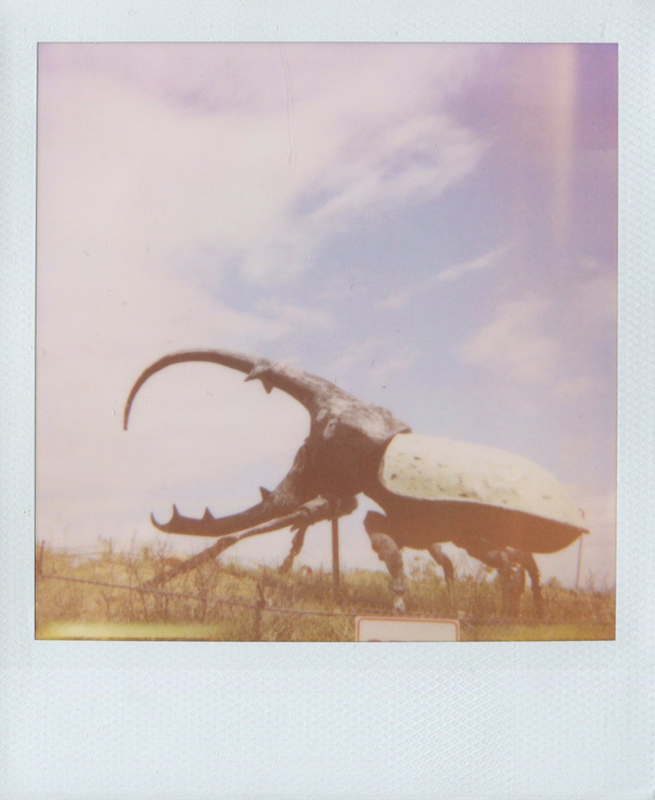 Despite all the gorgeous scenery out West, I ended up shooting exclusively dinosaurs (with the exception of the giant beetle outside the May Museum) with the Polaroid film. I still had a few shots left when I got back so I decided to continue the theme and only shot giant animals. 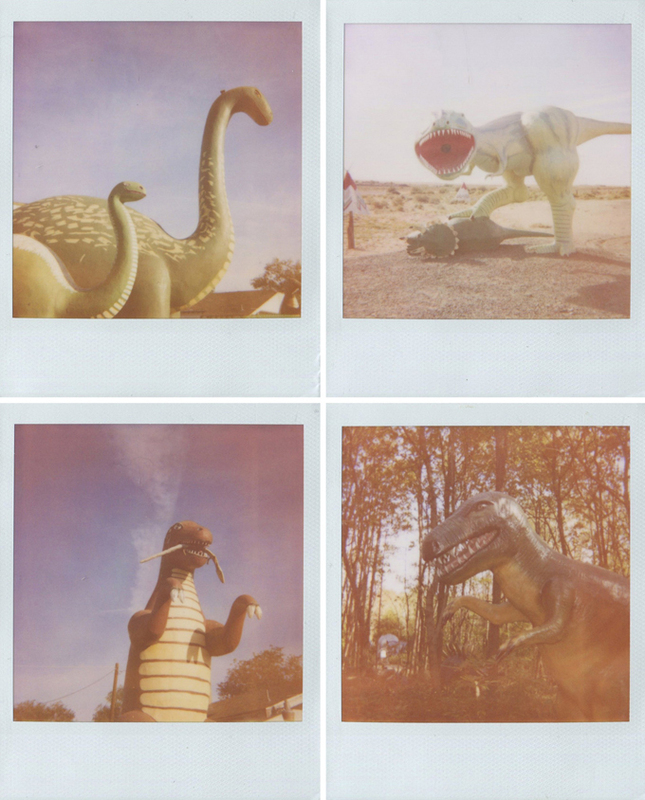 I ended up with seven dinosaur photos, one beetle, and a woolly mammoth. I really enjoy seeing all the photos together. The colors turned out beautifully. 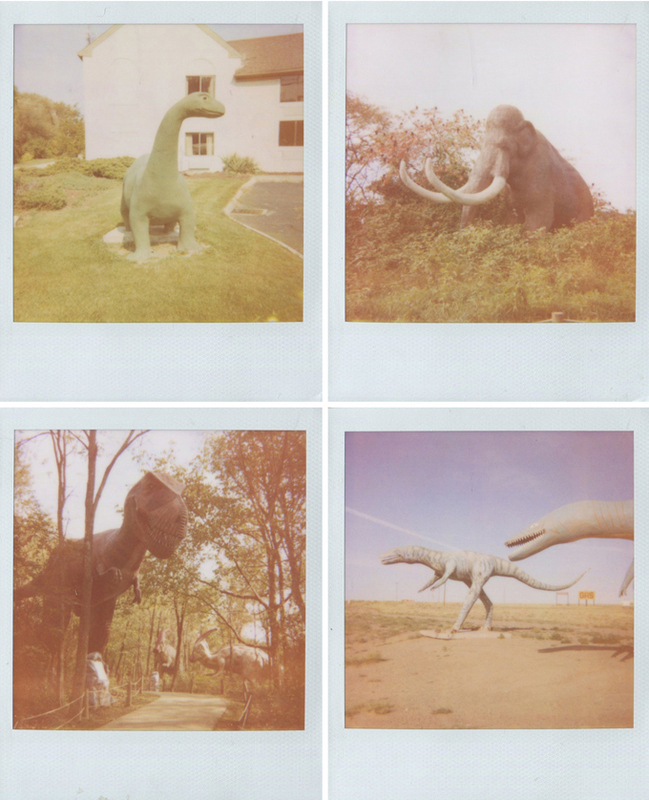 Nothing beats original Polaroid! Taking a series of photos will definitely be on my goal list again next year since it’s something I want to do more of. Seeing these photos together is just what I needed to get started. *I mean, I don’t know about you but I think giant roadside animals are super exciting! Haha! LOVE LOVE LOVE them….I really enjoy the dreamlike light, too! Thank you for sharing- great job! I know, isn't that great!? The pinks and purples are so wonderful! Had to google it -WOW, yesss!! But the good news is there are still lots of HUGE dinosaurs out there! I love dinosaurs! There's this unused putt-putt place near me that has a giant T-Rex that I desperately want to take pictures on! My uncle as a truck driver used to transport these types of dinosaurs after they finished their life as museum pieces or miniature golf decor. I never got the chance to take pictures with them when they were on his truck, but I wish I did. These kind of photos take me back. Great photos! Dude, I'm so stoked you're posting more and more instant photography. I love your photos! I love ALL giant roadside attractions!! These are such neat photos! I definitely need to use my Polaroid some more.